You may have heard that probiotics – friendly bacteria – are really good for your health. But what actually are probiotics and are they safe to take while you’re pregnant? Probiotics are living microorganisms which support and promote healthy digestion. Found in some foods and drinks, such as yoghurts, probiotics are a type of good bacteria, much like the naturally occurring bacteria found in the bowels of every person. Three of the most common probiotics are Lactobacillus, Bifidobacterium, and Saccharomyces. They are often dubbed the “friendly bacteria” as they help break down what we eat, provide energy for the cells that line our intestines, help keep the good and bad gastrointestinal bacteria balanced, and support our body to produce antibodies. This is perfect during pregnancy to protect your immune system, which can often weaken when you are expecting. Our intestines host an estimated 10 trillion bacteria, roughly two kilos, known as our gut flora. The health of our digestive system depends on the balance between the good and bad of these bacteria. If there is an imbalance, on the other hand, your digestive system suffers and you are likely to experience indigestion, flatulence, constipation, bloating or diarrhoea. Whether it’s heartburn, constipation, cramping, or diarrhoea, pregnancy tends to come with digestive problems. In fact, perhaps no other group has as many digestive issues as pregnant women! Gastrointestinal health issues commonly occur during pregnancy because of hormonal changes which impact the muscles of the digestive tract and slow down its processes. Having resilient and healthy insides is essential for both mother and baby but going through a pregnancy can take its toll, especially in the first trimester of pregnancy when vomiting and nausea can result in a lack of many essential nutrients. This is likely to affect both your good and bad gut bacteria which then are passed down to the foetus and can lead to allergies, a weak immune system or related conditions such as asthma and eczema. This risk is even higher if you have a family history of these conditions. As a bonus, probiotics can also reduce the incidence of thrush which is more commonly experienced while pregnant due to increased glycogen levels. 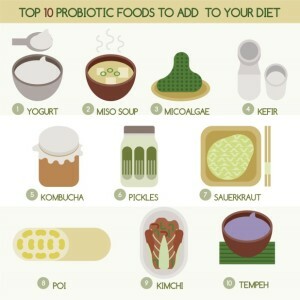 How to increase your intake of probiotics? The balance between friendly and harmful bacteria in the gut can shift negatively due to a diet high in processed food, a round of antibiotics, a decreased intake of fruit and vegetables, carbonated drinks, high caffeine intake and high stress levels, so it is important to keep these factors levelled and monitored. As with most things health and diet related, you should always bring this up with your physician, particularly if you are expecting. 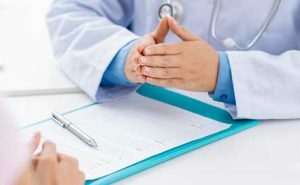 As an experienced obstetrician, Dr Neil Wallman is always ready to answer his patients’ questions and help them throughout their journey. Contact Dr Wallman’s friendly team here for more information or to book a consultation. Find out what to expect when you’re expecting with our FREE pregnancy guide! no downtime and no need for anesthesia.